Spam is unsolicited email – the online equivalent of the cold caller. If you’ve spent any reasonable length of time on the Internet and you operate an email account, it’s almost a certainty you’ll have received junk mail at some point. Even if you’ve taken great precautions, spammers will eventually get through to you. You might wonder why people would go to all this trouble in order to send out a few junk emails that are usually trashed as soon as they’re recognised as being spam. 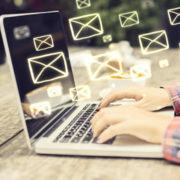 Out of the many emails that they send out, although the vast majority will be deleted, a small percentage are successful in creating direct sales. Even if they don’t succeed in getting you to part with any money, if they’ve been able to confirm that your email address is live then that’s worth something to someone e.g. another spammer who is willing to purchase a list of live email addresses. Because the means by which spammers work have become relatively cheap, having only a small percentage of success makes it all worthwhile. So until every email user learns to deal with spam appropriately, then the spammers will continue spamming. How do they obtain your email address? There are dozens of methods spammers can use to obtain your email address. Most commonly, your email address will have been ‘harvested’ from a web page where it is advertised. An automated computer program or script can be designed to crawl it’s way around the Web by following hyperlinks that appear on web pages. 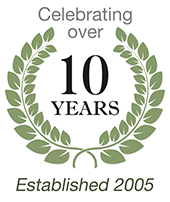 Business websites will often advertise their contact email addresses on the ‘Contact us’ page or in the footer of their pages. This offers an easy way for a spammer to become aware of your email address and add it to their lists. Because of this, many websites don’t offer email links, but offer an online contact form instead. If your email account has ever received even just a single piece of spam through it, then it’s possible that your email address will have been passed on to other spammers. These lists of confirmed and unconfirmed email addresses are often passed on and sold on by spammers. So, if this happens just once, then your email address could be added to an infinite number of spamming lists forever more. This is a method where the spammer will use a dictionary of common words and names, joining them together in various combinations to in effect ‘guess’ your email addresses. Because of this, even when an email address is never advertised on a web page and the user is strict about ever sharing it, they can still suffer from spam – simply because the spammers have guessed the address, sent an email to it and not received a ‘bounce back’. The best way to beat spam is to protect your email address and never let the spammers get hold of it in the first place. As in most cases, prevention is definitely better than the cure in terms of effectiveness. However, in reality, this is very difficult to achieve. By the very nature of their purpose, it’s almost impossible not to share an email address. And even if you don’t, they’ll probably guess it anyway (see Dictionary or brute force earlier). If you already have a spam problem, the following measures can alleviate the problem considerably. Don’t open (or even preview) suspected spam. Just delete it straight away. If offered, never use any ‘unsubscribe’ link contained within a spam email. This just confirms to the spammer that your email address is active and makes it an even more attractive target. Email addresses confirmed as ‘active’ in this way can be sold on to other spammers at a higher price. Try and avoid publishing your email address on your website. This is not always an attractive option as many businesses like to share their email address on their website. If you wish people to be able to contact you directly by email (through your website), there are alternative options (contact forms and cloaked email links) which can be employed (ask your web designer about this). Use a free (disposable) email account for situations where you have to provide your email address ( email accounts can be set up with providers such as Yahoo, Hotmail or Gmail for free). If the disposable email address becomes overburdened with spam, simply abandon it. Many websites insist upon free registration in return for supplying content and services. Online competitions will often ask you to register in order to partake in the competition. Let’s be clear about this – companies want your contact details (including your postal address) purely for marketing reasons. And, of course, if you don’t read the small print and tick the right boxes, your details will be sold on. Let’s assume that you already suffering from an influx of spam on a regular basis. How do you manage the problem so that you can run your e-mail inbox efficiently without having to plough through endless spam day after day? When evaluating business spam filtering solutions there are many different approaches to consider. The most important decision is whether go to with server-side or client-side software. Put simply, you’ll need to decide whether your spam problem going to be managed by your mail server or whether you’ll be installing software on your own computer to manage the problem? Sometimes, a combination of both methods is employed. You will need to speak with your hosting provider or web designer to discover what options are available to you on your server. Server filtering software will certainly stop most spam (depending on the level of scrutiny set). However, we generally advise caution with this approach because occasionally some legitimate emails might be blocked. Unfortunately there is no anti-spam software which gets it right every time (resulting in ‘false positives’ – legitimate emails incorrectly marked as spam). If using a server-side filter, your web designer will usually provide you with access to a control panel which allows you to release emails blocked by mistake and control the severity of the filter. You can also whitelist or blacklist (block) specified email addresses (or entire domains). Almost all filtering solutions can be subject to the periodic problem of false positives. With client-side software solutions, users have the power to easily review messages marked as spam (in their own email software). If needed they can be easily restored to the user’s inbox. In contrast, with server-side spam filtering users are required to access an online control panel to release mail and control other settings. 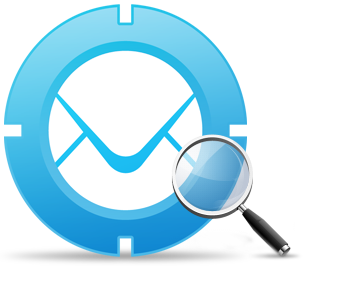 Our recommendation for small and medium sized businesses is to manage your mail and spam client-side (i.e. on your own computer). In other words, for smaller companies (with more limited technical resources and time), it’s better to use your own software solution with the option to easily check all mail tagged as spam. But if your software doesn’t offer this protection, a server side filter may be the only option. 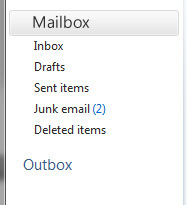 Microsoft Outlook (and Windows Live Mail) both include a built-in spam (junk mail) filter. Any emails suspected of being spam are automatically moved to a designated spam folder. It’s then up to the user to regularly check this folder and claw back any emails which shouldn’t be in there. 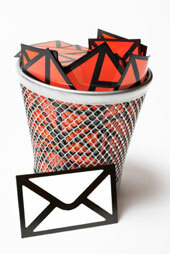 Specific email addresses and domains can be black-listed or white-listed as required. This is a commonly used approach. There isn’t a magic cure for spam but there are many options available which can be combined together to alleviate the problem. If your website is hosted with Josh.biz and you are interested in activating your server side filtering, please contact us.